Located 11 kilometres to the northwest of the city centre of Adelaide, the state capital, you can reach the popular neighbourhood of West Lakes. Planning to travel to Adelaide? 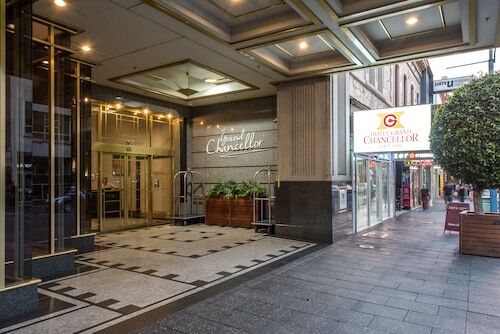 You'll love seeing the sights, like the Victoria Square, Government House and Rundle Mall. Grab your mates and play a round at Royal Adelaide Golf Course. If you'd like to sleep close by, consider the rates at The Lakes Resort Hotel and Findon Hotel. Port Princess Dolphin Cruises is a fabulous recreational centre for novices and professionals to become involved in some water-related sports. The Port Adelaide Backpackers and Hendon Hotel are your best choices for this site. Calling in to Sportivo WoodFire Kitchen is a fantastic way to start the day in West Lakes. Just follow the scent of roasted coffee beans! Once the caffeine fades and your stomach starts hankering for something a bit more filling, grab a table at Checkside Tavern. This popular eatery serves up some seriously tasty food. And of course, you haven't truly experienced West Lakes until you've downed a few drinks with the locals at the neighbourhood bar. Here, Seaton Hotel is the happening spot. If you and your mates are struggling to find the right hotel deal in West Lakes, consider the Seaton hotels guide. Alternatively, the Wotif Ethelton hotels guide will sort you out. 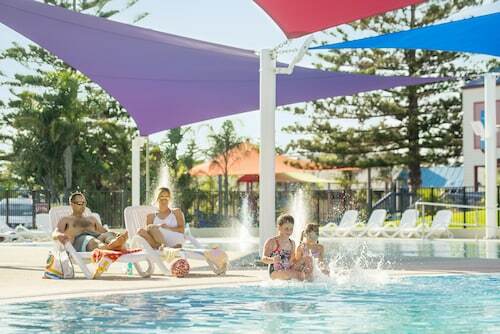 From accommodation to flights, activities to car hire, Wotif is ready and waiting to help make your West Lakes dreams happen! How Much is a Hotel Room in West Lakes? 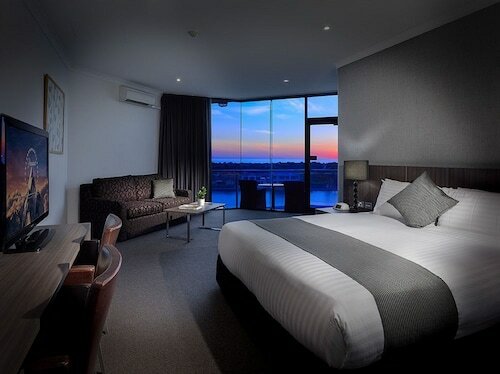 Hotels in West Lakes start at AU$103 per night. Prices and availability subject to change. Additional terms may apply.